If you need to contact us regarding any of our services, you may use the intercom system. Simply state who you are and what company you are from then ask away. If you need to contact us and you have already purchased any of our services but have not used intercom before, please also state your name and company before writing your issue. 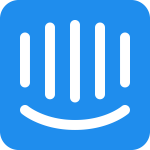 Active customers who are already set up on intercom can continue to message us as usual.